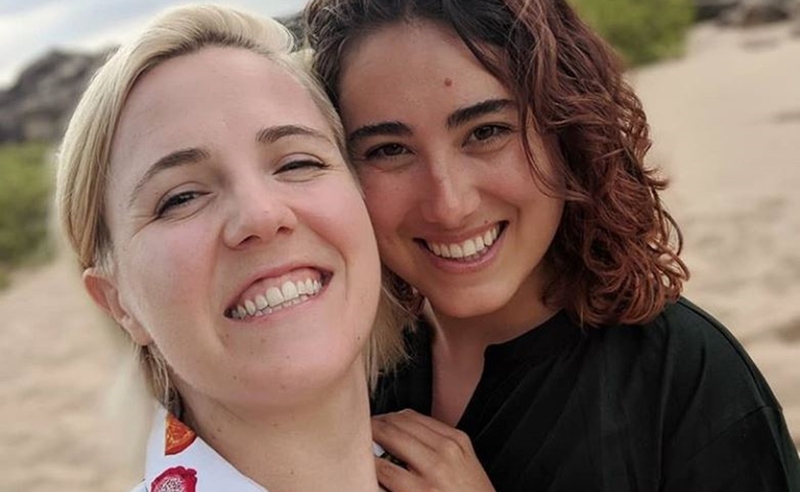 Hannah Hart, a longtime YouTube star — who rose to fame via the hilarious cooking series My Drunk Kitchen — has announced her engagement to girlfriend and fellow digital creator Ella Mielniczenko, who is an executive producer at BuzzFeed. Hart proposed to Mielniczenki on vacation in Hawaii after hiding the ring in a sandcastle bucket. And the proposal dovetails nicely with recent career moves. Since April, Hart has been in production on an as-yet-untitled series for Ellen DeGeneres’ digital network in which she will serve as a love and life coach of sorts for participants who are gearing up for major life events, like an engagement. (Hart also headlined her own Food Network series titled I Hart Food last summer, and is the host of a self-help podcast titled Hannahlyze This). Harto and Mielniczenko have been together since Thanksgiving 2016, and plan to wed in 2020. Hart — who says she has dreamed of having a family ever since she was a little girl, but was afraid that she would never find a partner as she came to grips with her sexuality — announced the engagement on her channel. She said that a video in which she and Mielniczenko share details and clips of the proposal is forthcoming.